Oil on Masonite, 8 x 10 in. 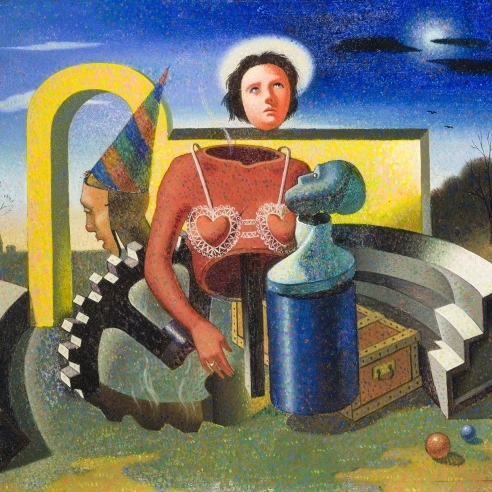 Adoration is painted in Marinko’s naturalist surrealist style. While the individual components of the composition are readily identifiable, their mode of presentation is disjunctive and disquieting—that is to say, surrealist. 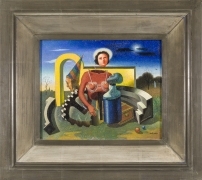 Though the work is undated, it was likely painted between 1935 and 1942, the years that Marinko attempted to express himself as an artist in the language of surrealism. 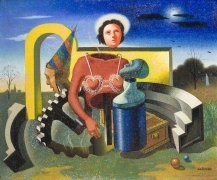 The subject matter arguably reflects Marinko’s Roman Catholic upbringing with a female face set against a halo, whose heart-shaped breasts may refer to Sacred Heart imagery. 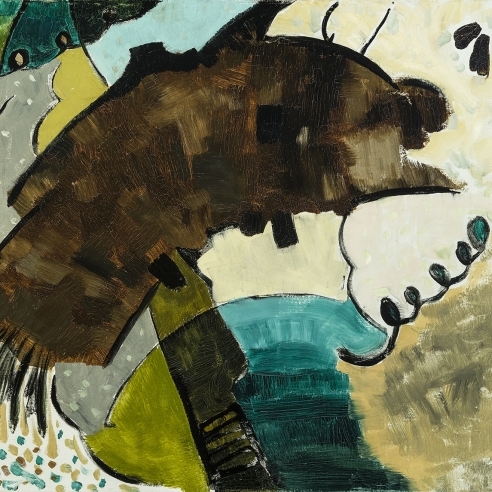 As the artist took pains to explain, however, the meaning of his picture is located in the intersection of his own subconscious and the perceptions of the viewer.